The Montgomery Township Environmental Commission/Green Team has been recognized with a 2018 ANJEC Environmental Achievement Award. Chairperson Mary Reece accepted the award at the Association of NJ Environmental Commissions (ANJEC) 45th Annual Environmental Congress on Friday, Oct. 12, at Mercer County Community College in West Windsor. Montgomery won in the category of Community Outreach Award for its ‘Videos 4 Volunteering’ Project. The Montgomery Environmental Commission developed a series of interviews, orchestrated by a local girl scout, who earned a Girl Scout Gold Award for her part in the project. The interviews, which are posted on the Township website as well as on YouTube, are designed to encourage residents to volunteer for local township boards and commissions. Community members can quickly learn more about their local government and the roles which volunteers play. The chairpersons of 11 volunteer government boards, such as Planning Board, Economic Development, and Veterans Memorial, plus the Mayor (2017) and Administrator of the Township, were interviewed. The six-minute videos have had over 1,300 views in their first year. New volunteers, including on the Environmental Commission, were spurred to act after watching the videos. Eighteen New Jersey municipalities or non-profit and community groups received the nonprofit’s Environmental Achievement Award, which recognizes exceptional projects which protect natural resources, health and open spaces in their towns. ANJEC has been presenting the annual awards since the mid-1970s to municipal environmental commissions. 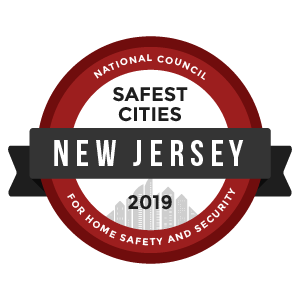 In addition to Montgomery, this year’s Award winners include Environmental Commissions from Atlantic Highlands, Berkeley Heights, Caldwell, Glen Rock, Madison Borough, Montclair, Ocean Twp. (Monmouth), Pohatcong, Princeton, South Orange, Wall and Waterford. An additional five awards will be presented for projects by individuals or nonprofit groups. Other awarded outreach projects included an environment-focused Cable TV show (Montclair), an Earth Day celebration in an Assisted Living Center (Wall), and a Rain Barrel Workshop (Waterford). Descriptions of all of the award-winning projects are available at http://anjec.org/pdfs/2018Congress-AwardWinners.pdf. An awards committee comprised of ANJEC Trustees and staff members selected the winners based on project impact, originality, educational value, innovation, and response to a need. ANJEC, a 49-year-old nonprofit based in Mendham, organizes the day-long, annual event to provide opportunities for local environmentalists and organizations to share knowledge on a wide range of topics affecting New Jersey communities, such as: climate change; coastal resilience and adaptation; open space preservation; water supply issues; energy; and leadership skills and tools. Montgomery’s Videos4Volunteering was one of 18 projects to receive a 2018 Env. Achievement Award. Env Com Chairperson Mary Reece and ANJEC Director Jen Coffey at Oct. 12 ANJEC Congress. Montgomery Twp. EC recognized for its outreach efforts. Girl Scout Julia Garaffa presenting Videos4Volunteering project before the Twp. Committee. One of the Interviews in the series, Env. Com. Chairperson Mary Reece. One of the Interview in the series, Twp. Administrator Donato Nieman.